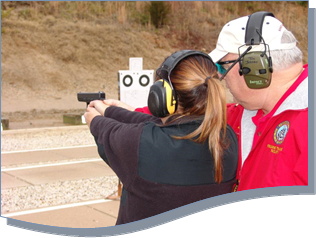 The Firearms Training Center provides a safe and friendly place to enjoy the shooting sports; to impart knowledge to our public shooters regarding the safe handling of firearms while on the range and at home; and to promote those principles of safety through the vigilant efforts of the training staff of instructors. No Live Ammunition is to be brought into the Range Building! When reporting for a safety class, Firearm(s) MUST remain securely cased until advised to remove by an Instructor. Come out and enjoy a safe, fun and friendly shooting experience at the only county run public shooting range in the State of New Jersey. Our range is staffed with a cadre of Instructors and Range Safety Officers certified by the National Rifle Association and/or the New Jersey Police Training Commission, many of whom have years of experience as either military or police firearms instructors. It is the mission of the Atlantic County Firearms Training Center to provide a safe and friendly place to enjoy the shooting sports; to impart knowledge to our public shooters regarding the safe handling of firearms while on the range and at home; and to promote those principles of safety through the vigilant efforts of the training staff of instructors. 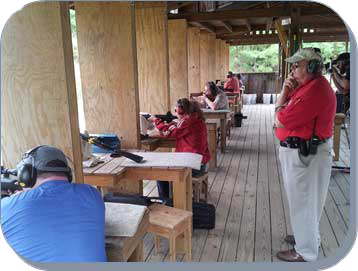 The Atlantic County Firearms Training Center at Riverbend Park was developed specifically to meet our mission and to provide a safe training facility for local law enforcement officers. The Firearms Training Center shall be open for public use on weekends and holidays throughout the year. However, the hours of operation may be adjusted by the Range Manager or his designee depending on, but not limited to, public demand, weather conditions and other safety factors. The Facility shall be open each weekday for law enforcement and government training purposes and any other special event sponsored by the facility and the county.